CashPiggy is a brand new PTC site with plenty of advertisements. It is owned by x19Limited (owner of Adf.ly link shrinker website) and operated by Ian Donovan. A free member gets 8 ads every day with a $0.001 price per click. Viewing ads is not the only method to earn on this site. You get other earning features, such as referring members, offers, surveys, contests and playing GridGame. The withdrawal amount is very minimal at $5 that you can withdraw through PayPal, Payza or Payoneer. You can also get bonuses through CashPiggy’s reward points that you can redeem for different hot offers like Walmart or Amazon gift cards and PayPal cash. At present, CashPiggy is on their first beta version, so expect to see more innovations and features soon. Although it is available to Adfly users, anyone can register and start immediately. As a supplementary of Adfly, CashPiggy makes it reliable. With payouts given on time and a responsive websie design, it has a big potential to become a big PTC website within a short time. 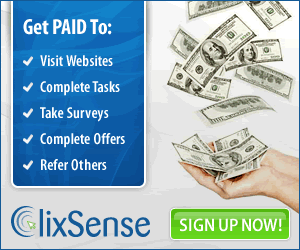 I highly recommend this site to anyone who wants to earn extra money online.